CVS Health has announced the introduction of a new pharmacy service called ScriptSyncTM, designed to help patients who need to manage multiple prescriptions at the same time. The service will align the fill schedules for different prescriptions so that customers can easily pick up their maintenance medications in regular monthly visits to a CVS pharmacy, as opposed to making several trips each month to refill individual prescriptions. ScriptSyncTM also enables patients and their caregivers to monitor and manage prescriptions at any time using innovative support tools that are easily accessible and available online 24 hours a day, seven days a week. The goal for CVS Health is to make it easier for patients to adhere to their medication schedule as prescribed, which in turn can improve the outcome of treatment and eventually reduce care costs for both the patients and the healthcare system. Research published in the Archives of Internal Medicine suggests that the more complicated medication regimens become, the less likely patients are to adhere to them. It has also been shown that consolidating multiple prescription refills can significantly increase adherence rates. It’s estimated that medication non-adherence (not taking medications as prescribed) adds almost $300 billion to the healthcare system, as well as thousands of lives. 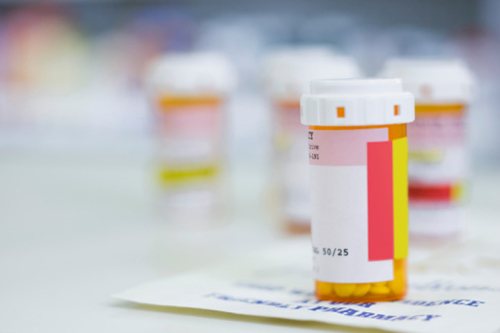 Programs like CVS Health’s ScriptSyncTM can help patients simplify, organize, and better manage their pharmacy care, thereby improving their adherence. In fact, patients who participated in the system’s pilot program demonstrated a significant increase in adherence after their medication refills were synchronized to be picked up at the same time. ScriptSyncTM is now available in all CVS pharmacies, and will be introduced to the CVS pharmacy mail service in 2016. “CVS Health Launches ScriptSync(TM) to Make Medication Adherence Easier for Patients who Have Multiple Prescriptions,” PR Newswire web site, August 11, 2015; http://www.prnewswire.com/news-releases/cvs-health-launches-scriptsynctm-to-make-medication-adherence-easier-for-patients-who-have-multiple-prescriptions-300126598.html.